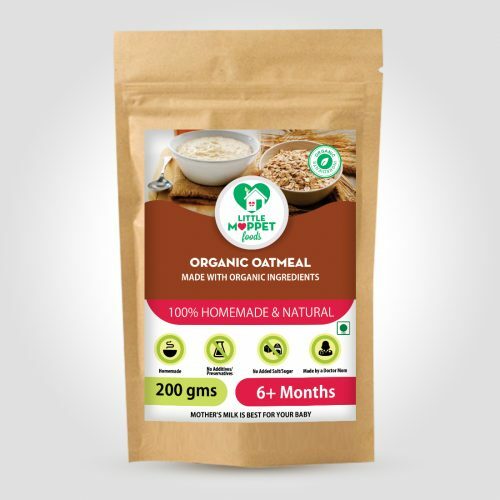 Our grandmothers knew a thing or two about baby nutrition, which is why their generation opted for extended breastfeeding and baby foods made from wholesome, natural ingredients. 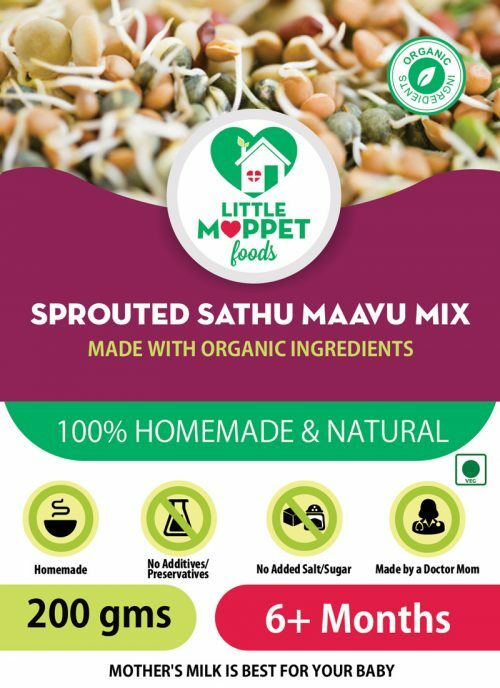 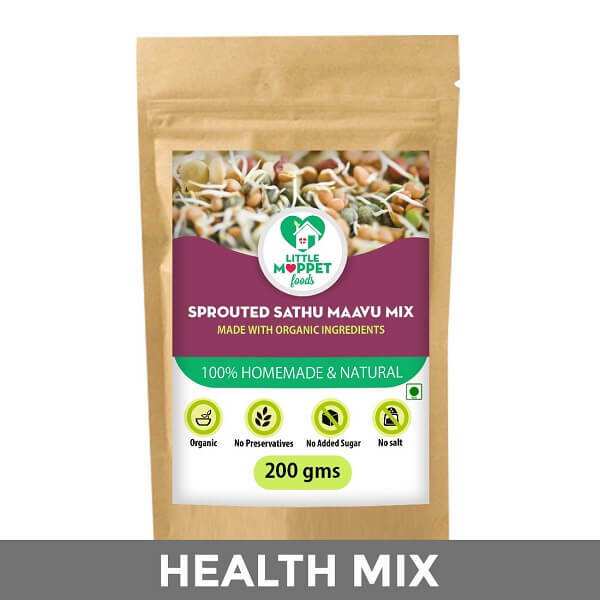 One such baby recipe is the immensely popular Sathumaavu mix, made with over 12 ingredients that include assorted grains, lentils, nuts and spices. 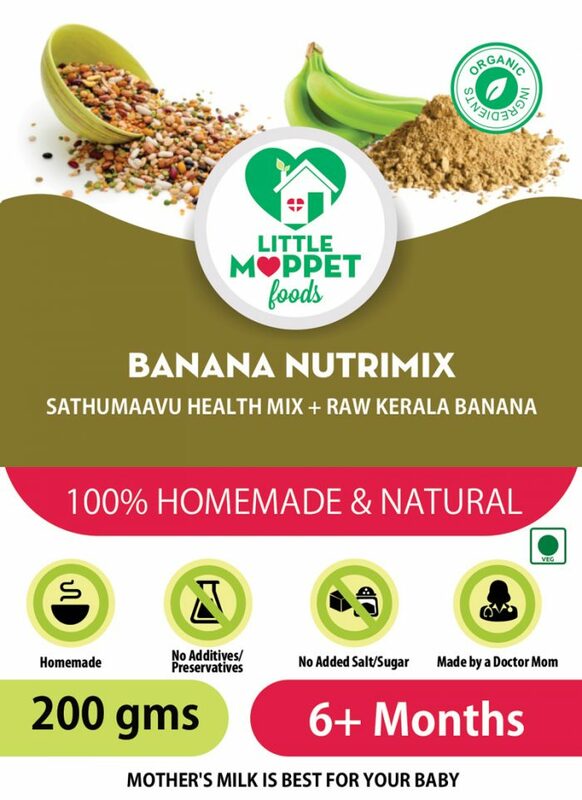 Now, this super baby food becomes several notches healthier, with the addition of raw Kerala bananas in Little Moppet Food’s Banana Nutrimix. 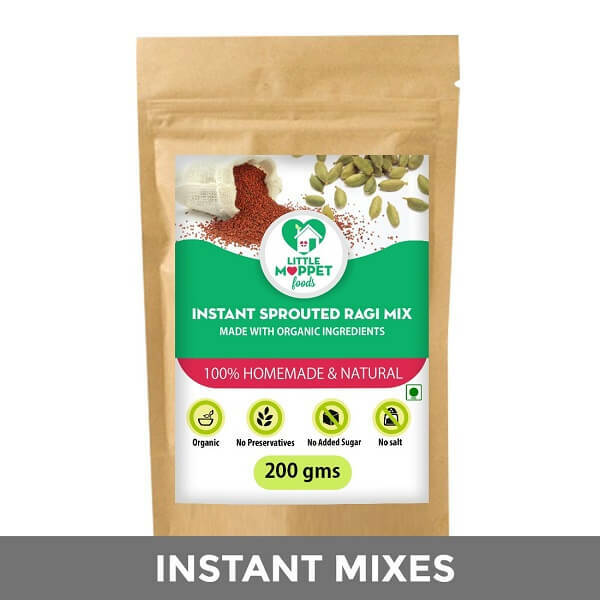 You know have the combined benefits of ingredients like green gram, broken wheat, almonds, cashews etc. 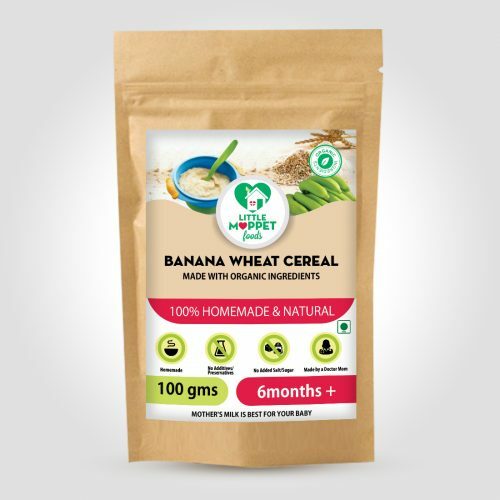 along with the rich fiber and Vitamin C of raw Kerala bananas. 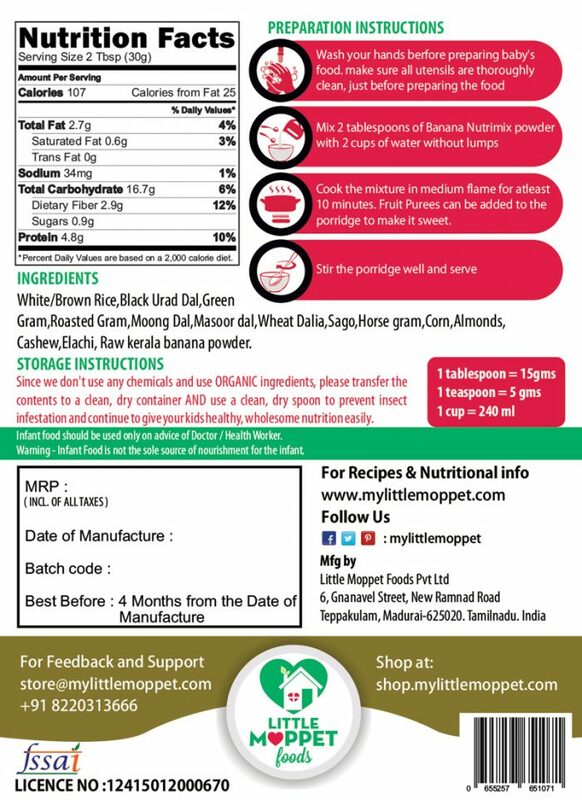 Not to mention the lovely flavor of the nuts together with elaichi and the natural sweetness of banana! 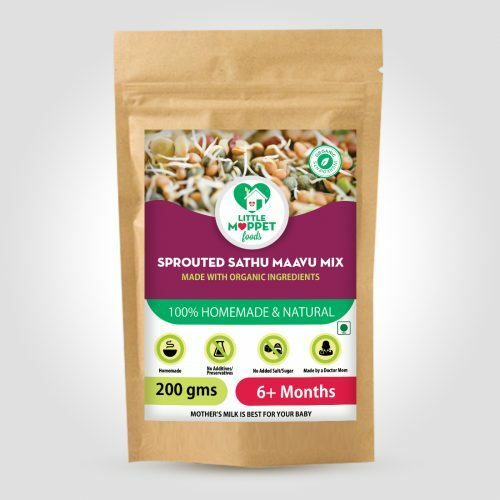 Our grandmothers spent a good part of 2-3 days to prepare one batch of Sathumaavu health mix, and making raw Kerala banana powder is no easy feat either. 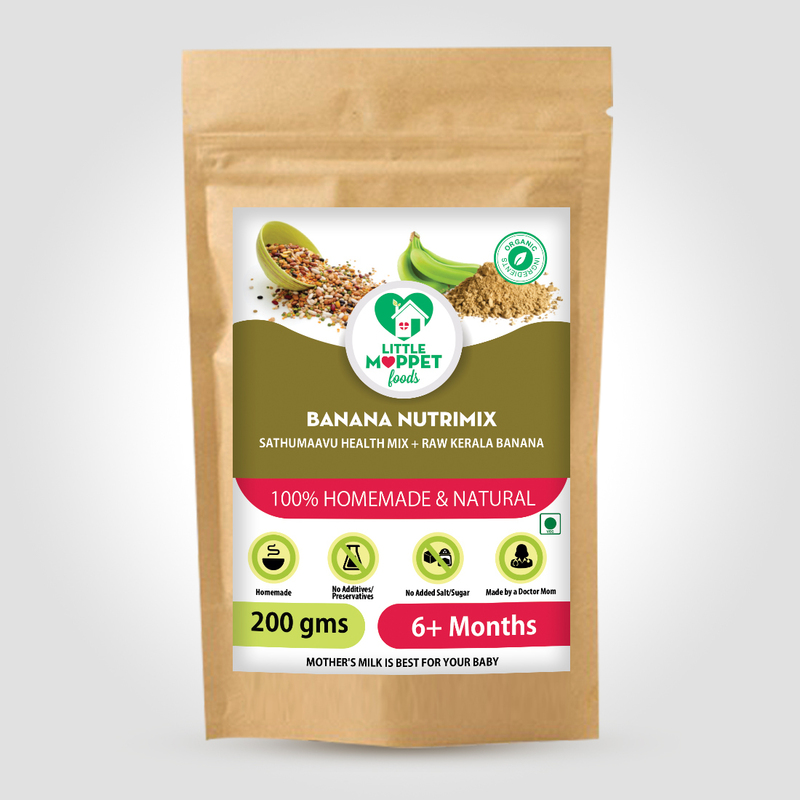 However, you don’t have to worry about all this, since we’ve done all the prep work and all you need to do is cook the Banana Nutrimix powder and serve your little one the best of traditional baby food in a bowl! Add 2 tbsp of Banana Nutrimix powder to 2 cups of water and mix without lumps. 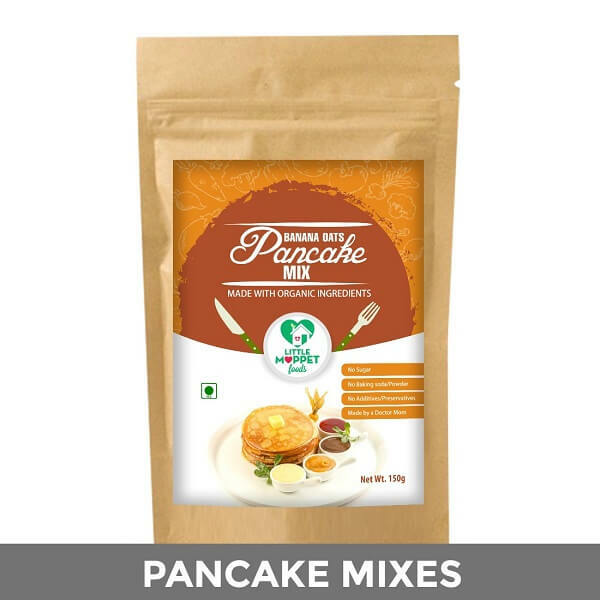 Cook the mixture on a medium flame for at least 10 minutes. 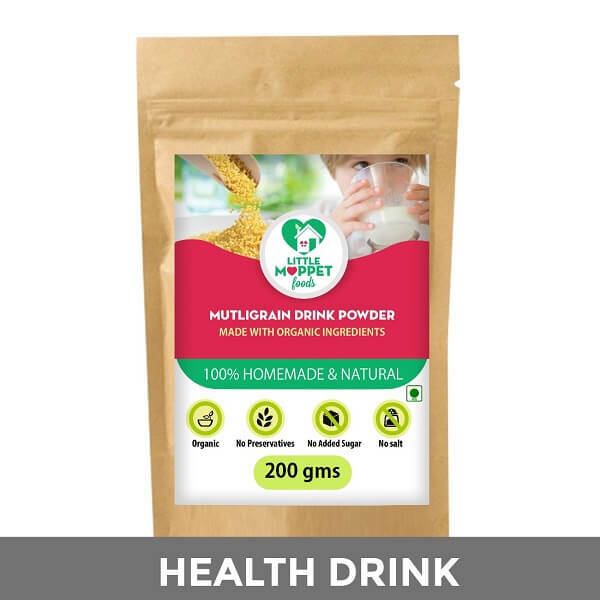 You may add any fruit puree for added flavor and nutrition. All in one nutrimix with weight and immunity gaining benefits..
My 9 months old baby is loving this. 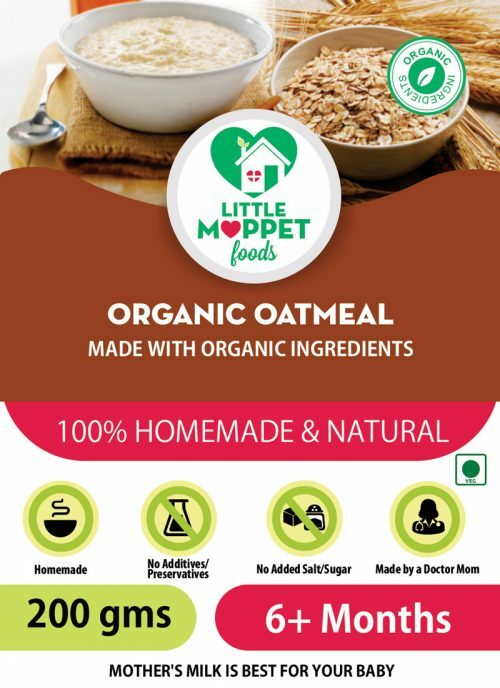 He really likes the taste. 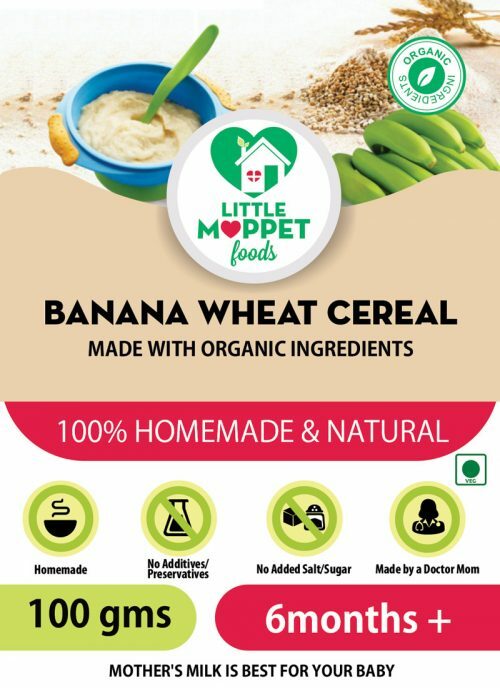 It’s very nutritious & healthy option for babies. This is yummy, our baby seems to enjoy this, it also has all the other nutrients.